TechnicsKN7000.com Updates: The most recently edited pages are listed here for frequent visitors. Please note that this page is automated, there will be other new things on the website and this page only lists some of them. Styles Series Y2 Updated for KN7000 KN2600 KN2400 PR804 PR604 PR54 - KN7000 Styles Series Y2 - Including Apple Mac DRAG N DROP option. 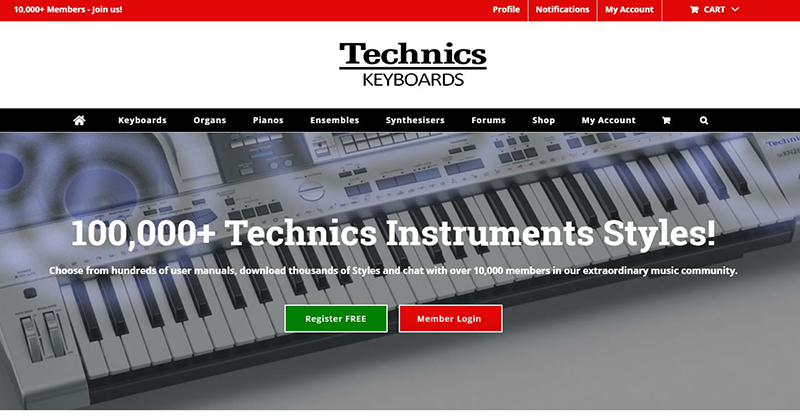 A Technics Keyboards Christmas is now available. Xmas Jukebox for Technics Keyboards! Free Christmas MIDI Files with over two hours of music! The Rock Collection - 1419 MIDIs from 115 Artists, an amazing 72 Hours of music to play along with! New Performance Pads released! The Brassy Pads Experiment. Halloween Jukebox for your Spooky Halloween Party! VIPs - Technics in Concert on the VIP Specials page. MIDI Collections - Country Genre - 5 Hours of Music! MIDI Collections - Pop Genre - 52 Hours of Music! PR602 & PR602M Service Manuals available. Styles Series Y2 Launched (The Tyros 3 Project) - KN7000 KN2600 KN2400 PR804 PR604 KN6000 KN6500 PR903 PR703 PR603 KN5000 KN1600 KN1400 PR902 PR702 PR602 All models now added. Choose your model from the top menu. Amazing Gospel Choir updated for KN7000, KN2600, KN2400, KN6500, KN6000, PR804, PR604 ...and almost all other keyboards and organs! Styles Series Y1 Version 3 is released for KN7000 and KN2600 (SD Card version with long filenames and Favorite Songs feature). I've also added a downloadable song list to all the other models (go to the Styles Series Y1 page for your keyboard or organ to get the PDF). Songs2Styles APP updated with 529 Songs for Styles Series Y1 (Choose APP) from the top menu). I'm actually in the UK. The previous posts came up with USA flag. I've edited my address as UK at the bottom of the Profile. (Has always said UK at top of the Profile Page anyway). But still displays the wrong flag! Ooh-err Mike ! That sounds interesting! Do you have a rough indication of the price they will charge? PS the replacement won't match the original it will have a solid surface because I don't like the way that sheets of music fall through the original. But it will fit in the same way as the original. Here is a preview of the new websites launching this summer. Your membership will autimatically migrate. Do you wish to switch it off altogether? Thanks for your support, I really appreciate it! I'm not sure what I can do about that issue but I'll investigate tonight and see if I can find the cause. Many thanks for info and best wishes it all comes together with not too many glitches !! You have indeed been with us a long time and it's great to hear from you! After a long semi recess, am delighted to discover the reformatted Technicskn7000 site will be up and running again this coming June. have recently bought KN600 ,i had a KN 3000 a few years back and loved it . Re: PX-201 only outputs very quiet aux output - even after amp board replaced. I messed up a soldering job (inexperienced) and one of the circuit boards popped, so it's of no concern anymore! New piano it is. Sorry, it's beyond my limited engineering capabilities. Hopefully, someone more experienced will be able to help. > Does the volume slider make any difference to the output? It does, the volume scales with the slider. I've also bypassed the slider electrically and that doesn't help either. Thanks for adding these great songs. Development of the new site is coming along and I'll include these in due course. It's a lot of work we're probably a couple of months away from being complete yet. A few ideas to try. Does the volume slider make any difference to the output? 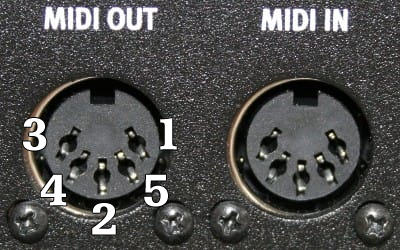 Try disconnecting the pedal cable (maybe a bad connection from the soft pedal would make it quiet). How is the volume through headphones? Hi , Sorry you are having problems firstly I would check the 15 volt supplies +15v and -15volt the regulators can fail. mostly the -15V. they are mounted on the AS board.